In the first installment of ‘Baahubali’ we have seen the strengths of Baahubali, Bhallaladeva and the heavy war sequences. But, we didn’t get to see the actual thing between the protagonist and the antagonist. What’s that? 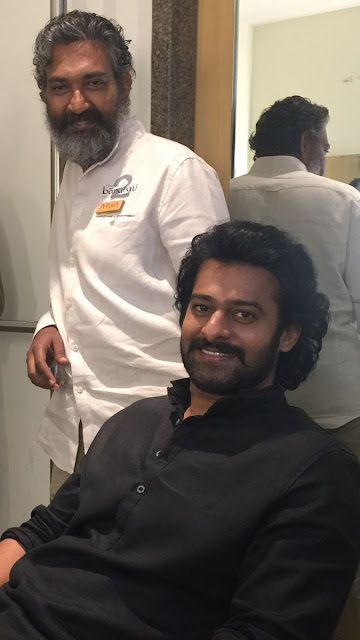 Rajamouli revealed that it is the epic fight between the two extremely powerful and strong lead characters of the movie, the fight between the muscular and egoist Bhallaladeva and the powerful and strong virtuous leader Baahubali. This fight is going to be the highlight of the movie besides the war sequences shot on heavy scale. With this revelation, Rajamouli has raised the expectations of the audiences as it would be a visual treat to watch the face off the two of the most powerful characters. How humongous is the fight going to be! Well, we can’t imagine the grand scale Rajamouli might have planned as he is the master of his own mind.